FormDocs™ is a complete solution for easily creating, filling-in, and managing the forms you use in your business or organization every day. 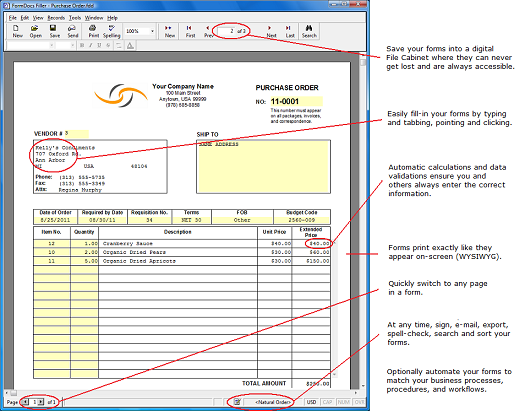 Most importantly, FormDocs™ depicts your forms as documents, not just plain web forms or database entry screens. That means your invoices, purchase orders, work orders, proposals, case reports, etc. 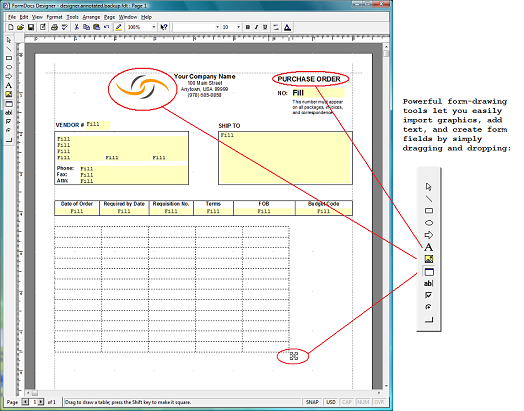 can be made to appear and print exactly like your familiar paper versions of those forms. FormDocs provides two applications; FormDocs Designer and FormDocs Filler. Included are dozens of ready-made sample form templates that you can immediately fill-in, customize, or use as starting points for creating your own forms. You use FormDocs Designer to create a form template. A form template contains all the fields, text, and elements that make up a fill-able form. 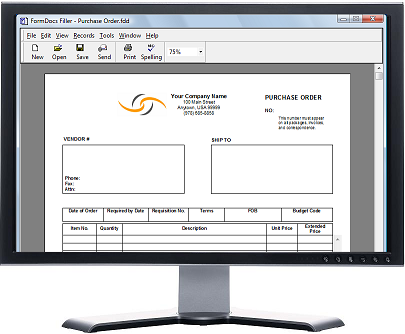 You create form templates by scanning and converting paper forms, or by converting forms you already have in other formats, such as Microsoft® Word and Adobe® PDF, or you can hand-draw custom forms with FormDocs’ easy-to-use form-drawing tools. You use FormDocs Filler to fill-in and work with your forms. A FormDocs form can be edited, saved, signed, printed, shared, or e-mailed just like any other type of document. FormDocs provides a Forms Database that can store your filled-in forms as a series of records, organizing them for quick and easy access so that you can list, search and sort them. 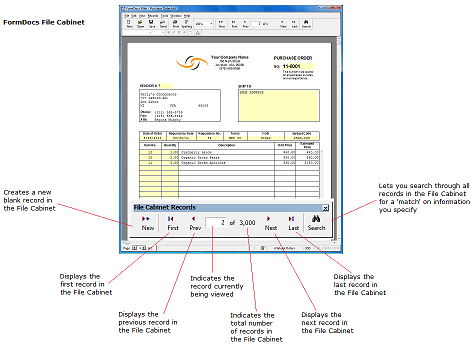 A Forms Database can contain over a million filled-in forms. Never lose track of your forms again! You can run FormDocs on a single computer or on multiple networked computers.